Feel the warm Gulf breezes and walk to see the sunsets at the end of the street. Beautiful Baywood Village 70x100ft lot directly across from the Gulf! This lot is ready to build. Welcome to this beautifully maintained community with community water access for boaters/kayakers! Ready to build a waterview home on this beautiful lot with room left for a yard and pool! 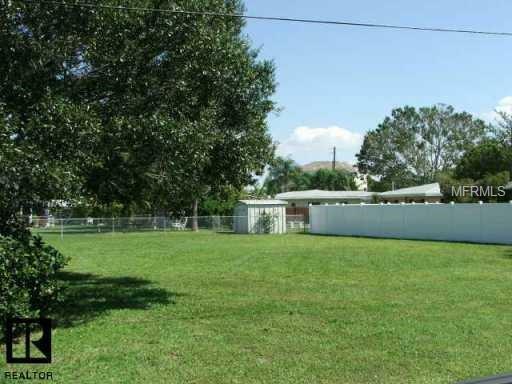 Many wonderful schools nearby and a perfect neighborhood to build your home! Million Dollar homes across the street. The popular Pinellas Trail is a bike ride away. Explore Honeymoon Island, and Clearwater Beach just a short drive away. Enjoy many nearby beaches, parks and the great ambiance of the sponge docks of Tarpon Springs which also is a short drive away.